When it was published last year, Talia Baiocchi and Leslie Pariseau’s book Spritz did much to legitimize the titular drink style, which for decades — in America, at least — was maligned by undue associations with low-cal cocktails and faddish carbonated white-wine nightmares. 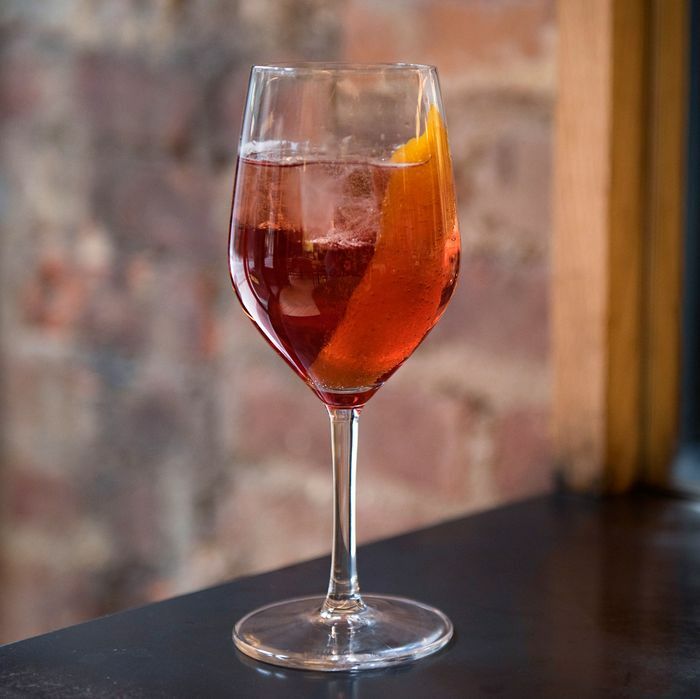 Lately, however, the combination of light liqueur and sparkling wine has reclaimed its rightful place alongside serious mixed drinks, and the past few years have seen a sharp uptick in spritz variations, as well as those more or less derived from the Italian original. All are fizzy and refreshing, and these are the absolute best. There’s nothing cluttered or complex about Jorge Riera’s Vergano Americano spritz, though it is nevertheless deeply considered. Riera, who is also wine director at Wildair’s sister restaurant, Contra, employs Mauro Vergano’s Americano because he believes the crimson-colored Piedmontese aperitif, with its notes of mentholated wormwood and bitter chinotto, is a modern benchmark for naturally made vermouth. For the top-off, Riera uses a pale sparkling wine called Les Capriades Pet’Sec from Pascal Potaire, the French winemaker known as the “king of pét-nats.” It has “great acidity and savory freshness,” Riera says, plus an abundance of apple, lime blossoms, and a bit of salty brine. Riera calls for a tallish stem glass to nail the drink’s breezy elegance, and an orange twist is crucial to finishing the whole thing off. While Mario Batali and Joe Bastianich offer a classic Venetian, made with Aperitivo Select (a fan-favorite with striking orange-cardamom notes), in the downtown Eataly, the restaurateurs’ sprawling Maritime Hotel trattoria and tapas bar deploys the crowd-pleasing Aperol in the base of its entry-level spritz, which is mixed with Flor Prosecco, Batali and Bastianich’s own label. Also on the menu: Sirena’s namesake spritz, a mix of the Flor Prosecco and the blood orange–infused Sicilian liqueur Amara, with a giddy boost of fizzy Limonata. And the Sup Girl is a spritz-esque drink made with vodka, Cocchi Americano, green-chile liqueur, and a effervescent glug of Long Island rosé. It’s spicy and fruity, with a healthy dose of sweetness on the back end. Natasha David’s evolving spritz menu, four drinks strong, is jam-packed with ingredients like matcha bitters and chamomile-infused pisco that at first seem to clash, but turn out to fit together neatly. A few sips into the Boogie Wonderland — a seemingly unplanned get-together of cacao nib–infused Maurin Quina, Plantation pineapple rum, dry curaçao, bitters, and Lambrusco — and it suddenly becomes clear that its components re-create something like the notes of a classic Coca-Cola. Intentional or not, the drink’s buoyantly pithy lemon and fruity cherry flavors remain in steady orbit above their heavier ABV quotient, and it quenches thirst better than any soda on the market. The house spritz at the bistro from Alain Ducasse and executive chef Laëtitia Rouabah pulls inspiration from all over: The glug of absinthe-splashed Maurin red vermouth comes from France, and a jigger of Campari hails from Milan. For the bubbly top-off, it’s 2014 Antech Blanquette de Limoux Reserve from Languedoc-Roussillon. And the final squirt of seltzer from a heavy siphon bottle is 100 percent pure Canarsie. The finished product is red and refreshing, and at the bistro’s buttoned-up wine bar, it’s served with a slight hint of Gallic slapstick. 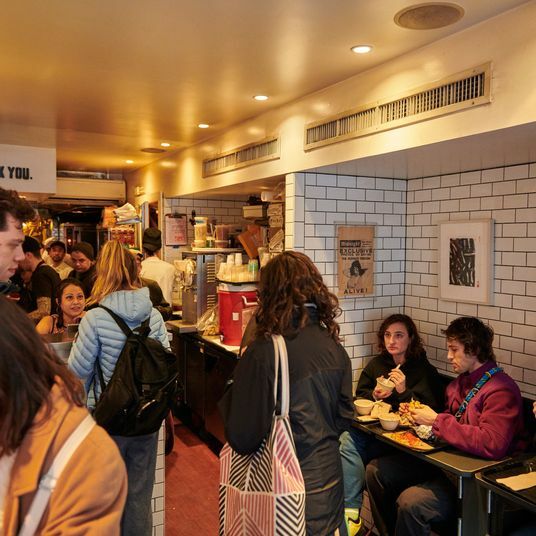 best of new york 4/3/2019 at 10:30 a.m. 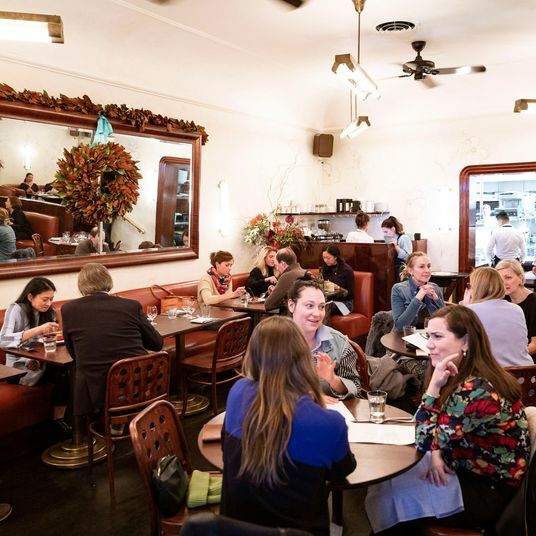 The Absolute Best All-Day Cafés in New York Homes away from home for gastronomes and lingerers alike. 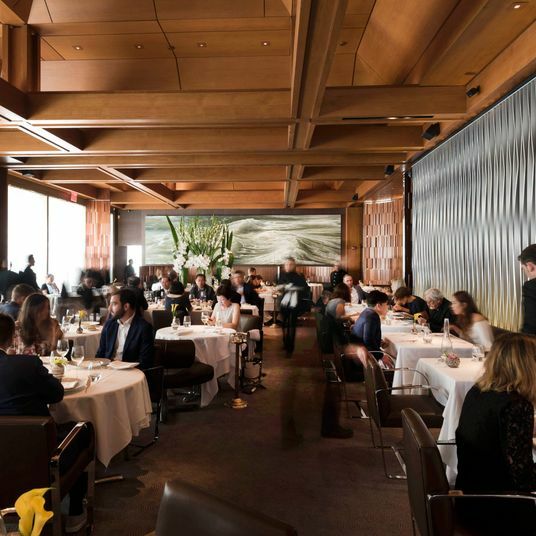 best of new york 3/20/2019 at 10:30 a.m. 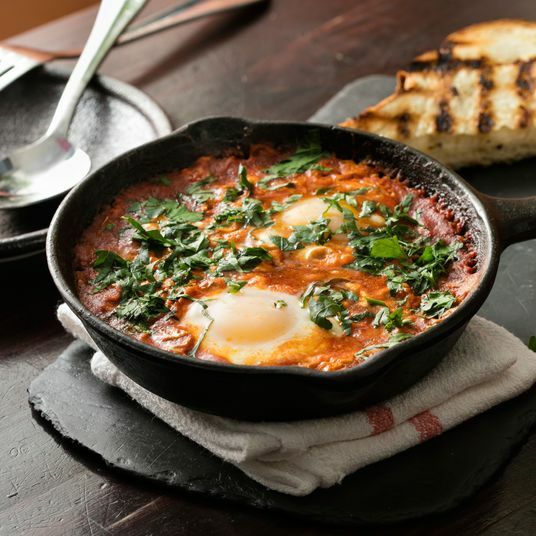 The Absolute Best Shakshuka in New York The saucy, often spicy North African skillet-poached egg dish has become a New York brunch staple. 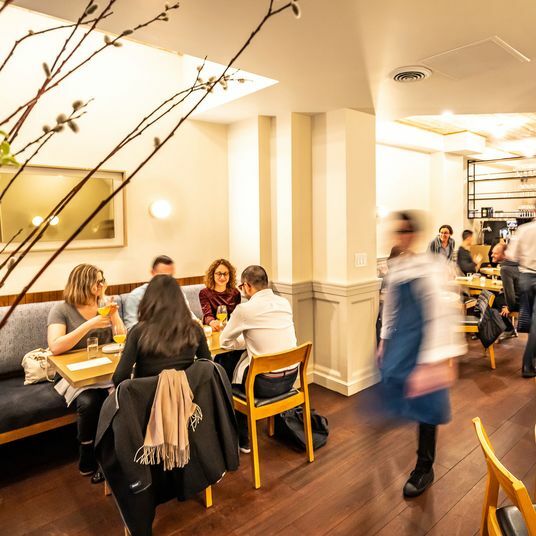 best of new york 3/13/2019 at 11:21 a.m. 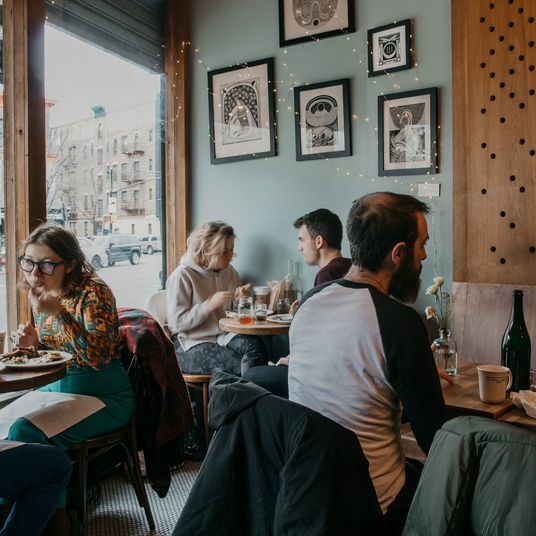 The Absolute Best Restaurants in Crown Heights An affordable tasting menu from a Daniel-trained chef, spot-on Neapolitan pizza, and destination roti. 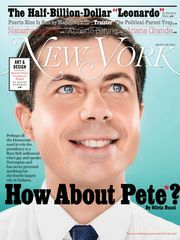 best of new york 2019 3/6/2019 at 10:30 a.m. The Best of New York Eating 2019 Vegan Arabic sandwiches, Hunan charcuterie, and French onion soup. 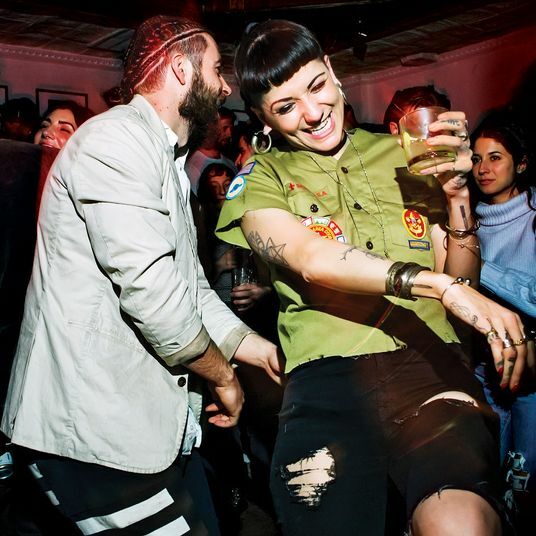 best of new york 2019 3/3/2019 at 9:00 p.m. The Best of New York Fun and Nightlife 2019 Unpasteurized sake, puppet-making, and rooftop soccer. 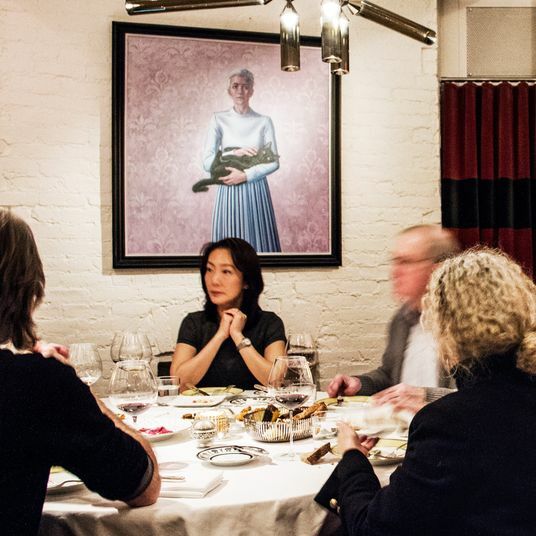 best of new york 2/27/2019 at 10:30 a.m. The Absolute Best Restaurants on the Upper West Side Classic Chinese, posh Italian, and some excellent bagels. best of new york 2/20/2019 at 10:30 a.m. The Absolute Best Restaurants in Rego Park and Forest Hills This corner of Queens has some delicious eats, especially if you’re in the mood for Uzbek plov, Georgian cheese bread, or spinach knishes. 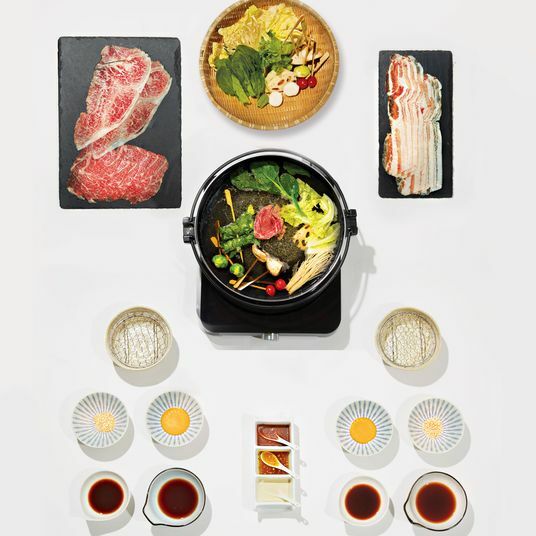 best of new york 2/13/2019 at 10:50 a.m. 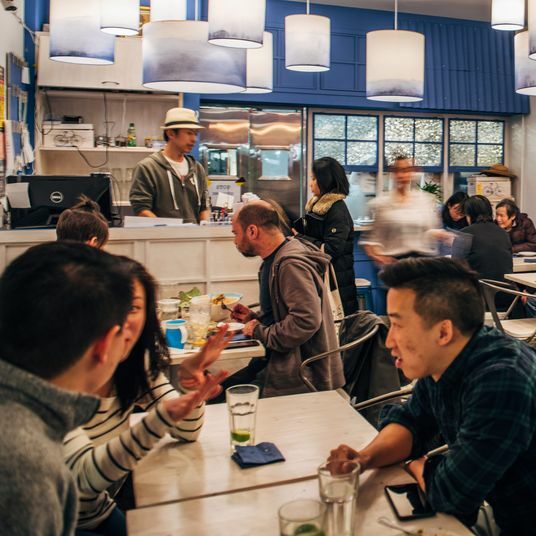 The Absolute Best Vegan and Vegan-Friendly Restaurants in New York From fake-pepperoni pizza to terrine of foie gras made with tahini and cashew cream, vegan food even an omnivore will like. best of new york 2/6/2019 at 2:54 p.m. 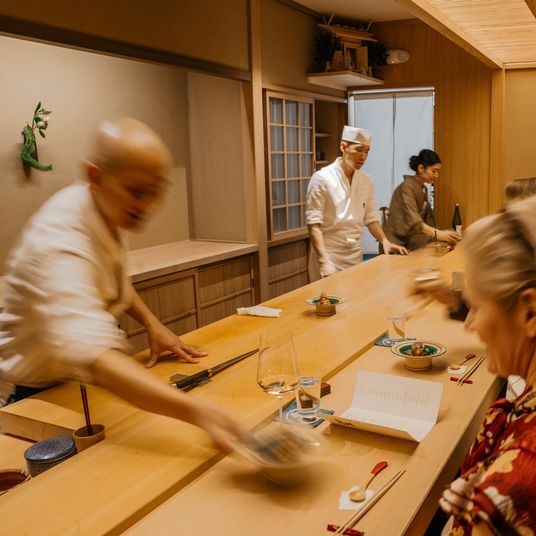 The Absolute Best Sushi in New York The arrival of top Tokyo talent has transformed the omakase scene. best of new york 1/30/2019 at 10:30 a.m. 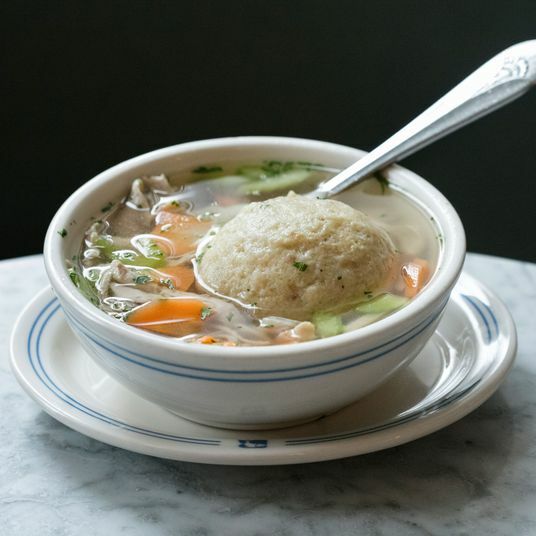 The Absolute Best Matzo Ball Soup in New York Better than a flu shot. 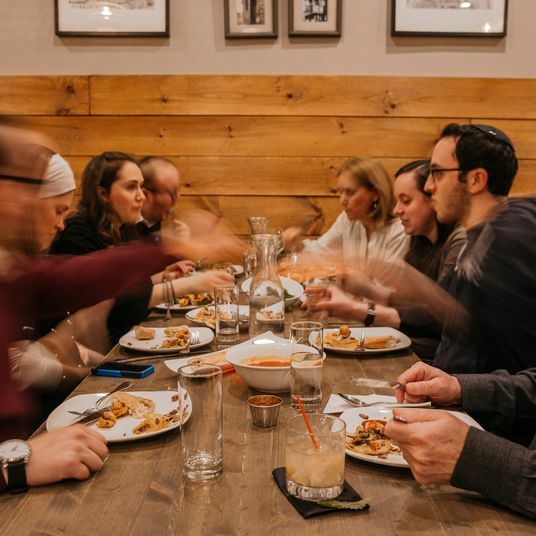 best of new york 1/23/2019 at 11:28 a.m. 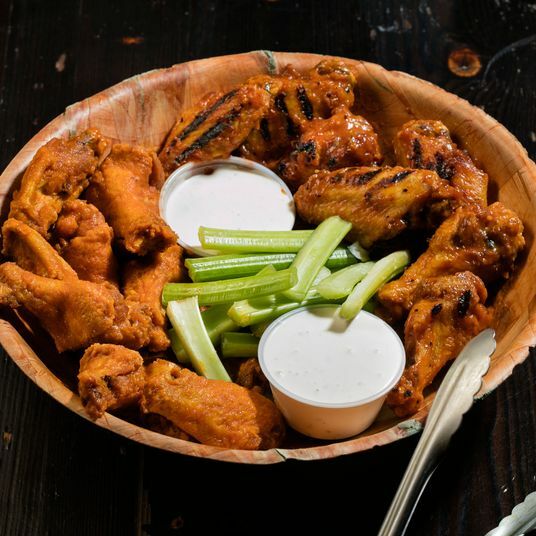 The Absolute Best Chicken Wings in New York Chicken wings for football addicts and everyone else. best of new york 1/16/2019 at 2:25 p.m. 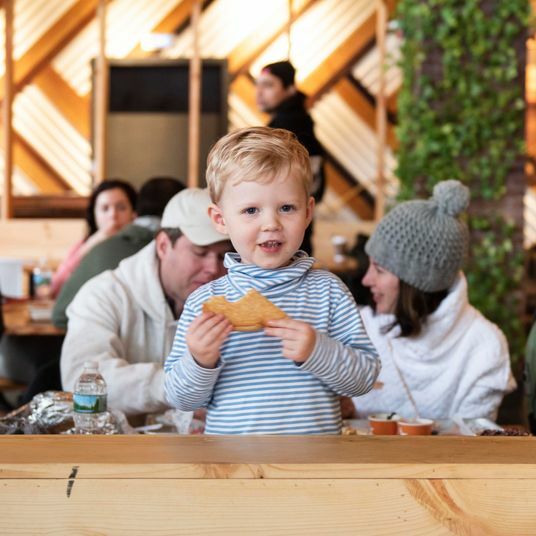 The Absolute Best Kid-Friendly Restaurants in New York For picky palates and gourmets-in-training alike. best of new york 1/9/2019 at 10:30 a.m. 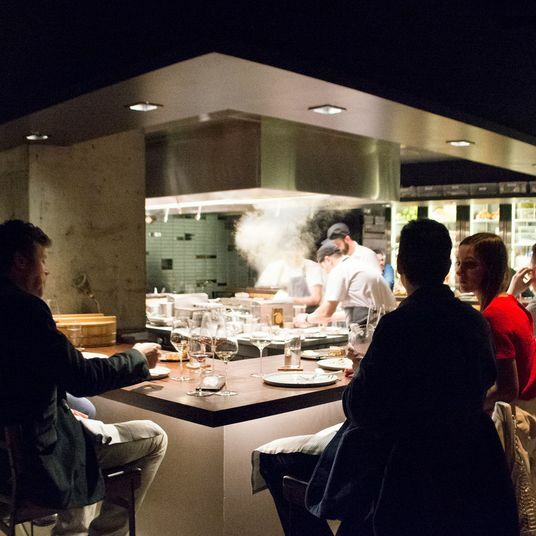 The Absolute Best Tasting Menus in New York The top spots tend to be small and intimate chef’s counters where you can watch your dinner take shape. best of new york 1/2/2019 at 10:30 a.m. The Absolute Best Restaurants in Elmhurst Top Thai, and lots more. best of new york 12/26/2018 at 11:12 a.m. 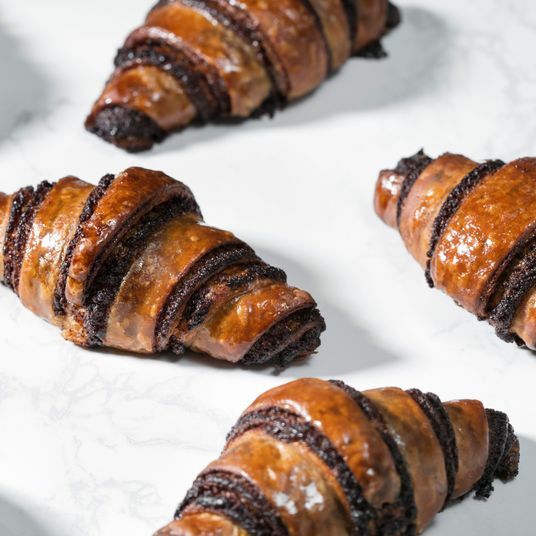 The Absolute Best Rugelach in New York Cookie season needn’t end December 25.
best of new york 12/19/2018 at 10:30 a.m. 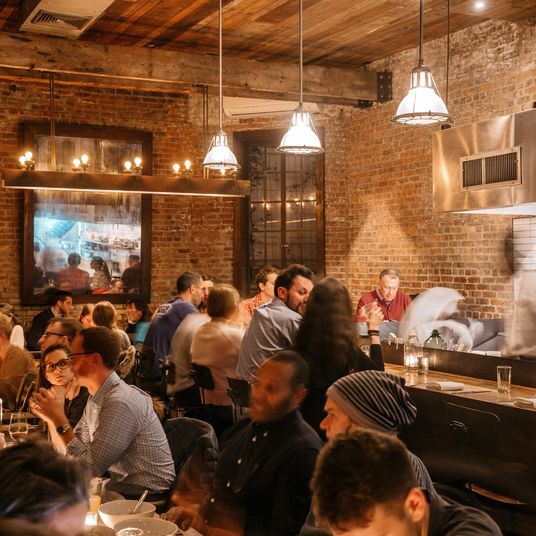 The Absolute Best Restaurants in Brooklyn Heights Excellent American fare, both new and old-school, plus inventive Middle Eastern cooking, hearty, satisfying Italian, and so much wood-fired pizza. best of new york 12/12/2018 at 10:30 a.m. The Absolute Best New Restaurants of 2018 A diner’s dozen. best of new york 12/5/2018 at 10:30 a.m. 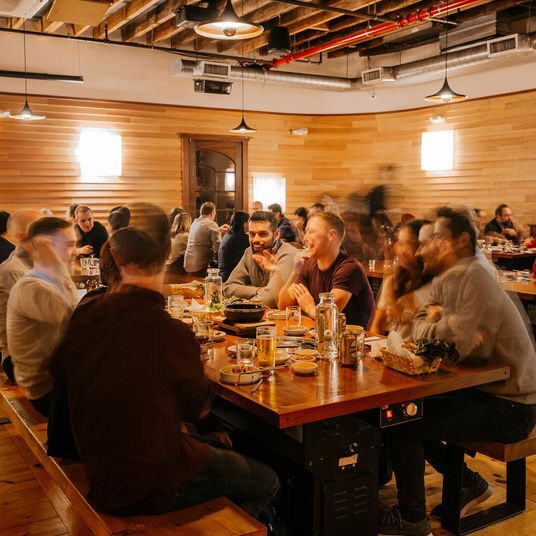 The Absolute Best Restaurants in Gowanus A home for festive Korean barbecue, hangover-curing Cubanos, and red sauce both retro and refined. best of new york 11/28/2018 at 10:30 a.m. 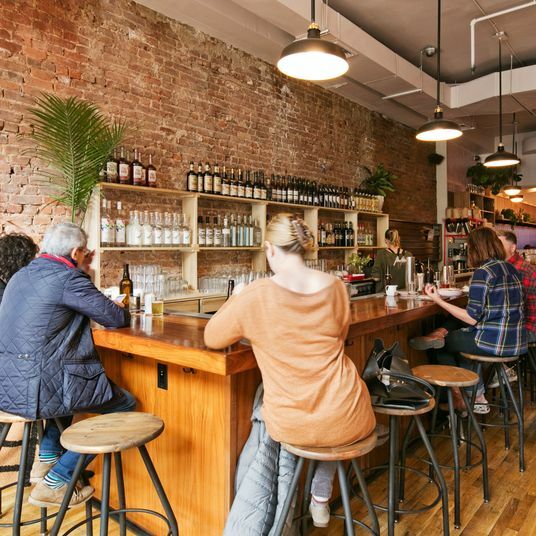 The Absolute Best Restaurants in Ditmas Park Big houses, rich hummus, juicy burgers, and plenty of options for brunch.